Favorite find of the month! I’m so excited that I found this awesome 2-in-1 bubble wand with spinning light on top! 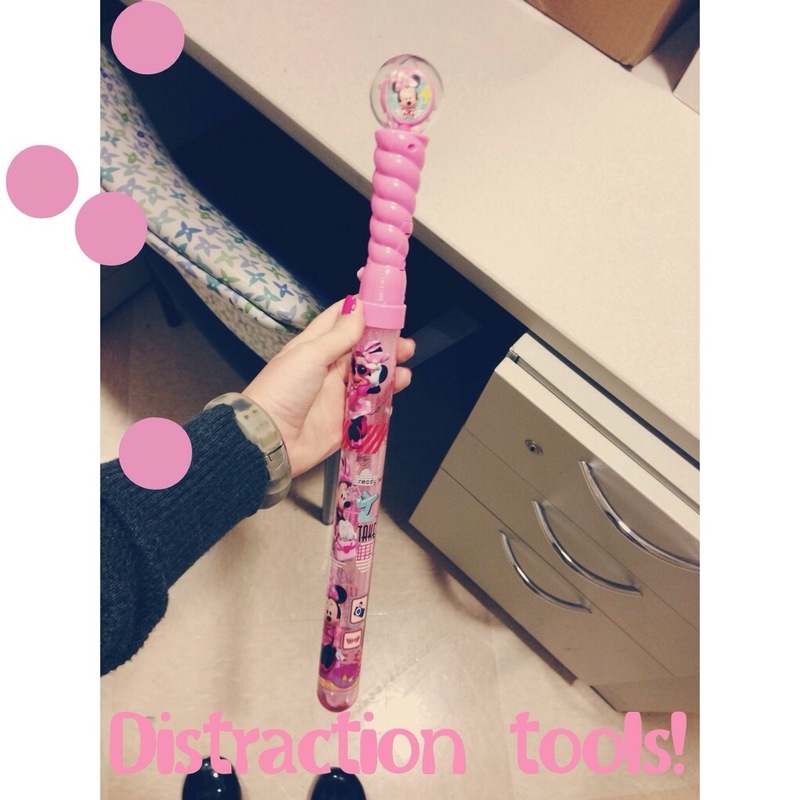 This works great for distraction – especially with toddlers/preschool kiddies whose attention span isn’t always the longest. I bought this little gem at Walgreens in the Spring/seasonal isle for $3.99. Happy bubble blowin’ & light spinnin’ fellow child life-ers!